I recently got started on a client project in which I’m putting together an automation framework, where, luckily, I’ve been given some objectives that are quite clear to fulfill. I want to discuss one of the things that I am considering in regards to the project (in case anyone has some helpful insights!) which is: What automation tool should I use? In the ring, I have Selenium vs Watir. On the one hand, Selenium seems to me the most natural option, the most popular open source tool for web browser automation. The de facto standard. But, when I was discussing it with my colleagues at Abstracta, they recommended Watir, which is better for Ruby. So, I started to investigate a little more. Before I start comparing the two tools, I would like to comment on why this particular language choice. If it were for me, I would program in Java, since that is what I have more experience in, but the client’s team programs in Ruby. But, that’s okay, I can be flexible! Since I hope that the developers consider automation as a value-add to them in the future which they can extend, maintain, improve, utilize, etc., I prefer to stick with Ruby. Even though with automation, when taking a black box approach, the language used for the system code is less important. Anyway, this argument isn’t a minor one— as testers, we should always seek to team up with developers, and not go in a separate direction from them with our technological stack. Here’s a small comparison chart. I also threw Capybara into the ring (but for my purposes, it had much less fighting power than the others). EdgeInternet ExplorerSafari Uses different drivers, including Selenium Firefox latest releases. Better support (a greater community implies more forums, more resources, examples, problems solved). It’s more likely you’ll find someone with experience in Selenium than in Watir (although knowing one, it doesn’t take long to learn the other). It’s more popular and more accepted. Every time I tell someone that I’m going to use Watir, I end up saying, “It’s something similar to Selenium.” Why not just use Selenium? The reason why someone recommended Watir to me is because it has an API that makes it easier to read, I am not convinced that it really does make it much easier. 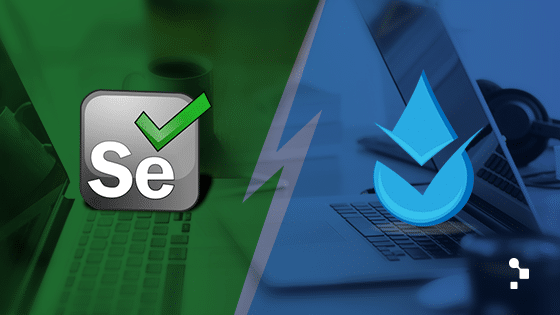 What would you do if faced with having to choose between Selenium or Watir? Leave me a comment below! I used both, but if Ruby is the programming language; watir would be a better option, because it exploit the avantages of Ruby. The code to do the same action use less lines of code, but if you are more familiarized with Selenium, and the facts you mention have more importance for you; go for Selenium. Thanks for the answer Rodrigo!! Yes, I loved the way Watir is written, it’s shorter, clearer. Anyway, I still value more the mentioned aspects. Regards! IMO, Selenium is the best option, has a larger community support. I think that the QA people has some freedom about what lenguaje their use, for me is not a must to have the same language that the main project. Think about this: what if the main project has to do a major change or need to integrate another tool with a different language? you will move again in the same direction and rewrite your code? Thank you for your details here, appreciate it!